The room was large spacious, filled with antique furniture, high ceilings, broad wooden window casings. The house, I have been told, was over 150 years old. I felt the energy of lives lived there seeped into the floor boards. 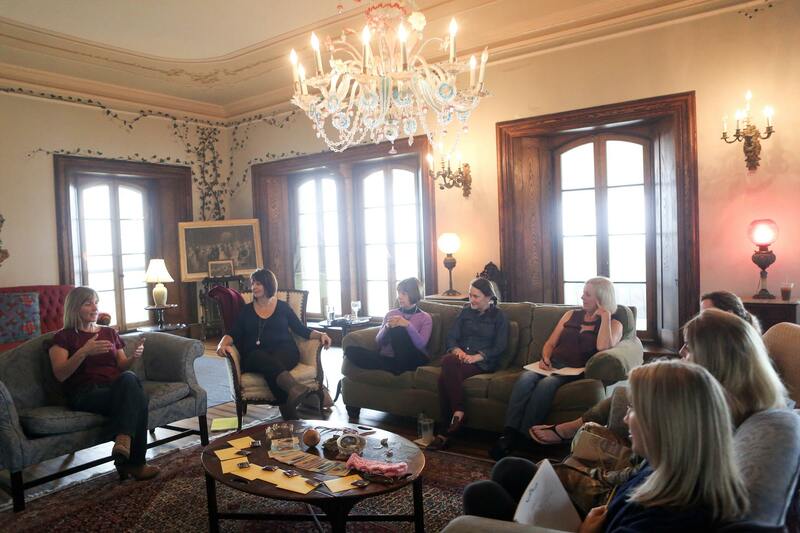 My women sat in a circle on antique couches and velvet chairs as we discussed what essence they would like to express in the next day’s photoshoot. I could feel the walls that one of my women had built around herself. She was safely in her comfort zone. Yet, she had hired me to push her out of that comfort zone, to call her forth into her greatness. The comfort zone is so familiar to me, both as an entrepreneur and as a woman empowering other women to grow their businesses. It’s the place we go to avoid growing. Because growth can be uncomfortable and frightening, requiring us to take a stand, look at our own shadows, and face our fears. The comfort zone is also the place where creativity withers and business stalls. This was out of MY comfort zone, sigh …. And I do it. I slink across the floor in my best flirty, slightly awkward dance move, inviting her to come dance with me. I stop, settling to my knees on the floor in front of her, waiting. This is her time to process, to experience feminine moving in body. Her time to decide what she wanted. We wait. Allowing her Space. “I will give you whatever you want”, said Lindsey, my partner in this retreat and our awesome photographer. She was magnificent. Breathtaking. Clear and resolute. She spoke with power. She KNEW what she wanted and she let us know. And we gave her that. When I first began planning this retreat, I had no idea that this exchange would happen. I could never have planned it; however, I created a safe container within which something transformative could happen. I carefully choose the person I would partner with, the house we would meet in, the basic outline of the day. But I could never have imagined that I would slither my way across the floor making eyes at a client until she had her break through. This is the magic that comes from operating in the feminine. The Feminine dreams it, the masculine creates the container for it, then Source flows through, directing results that are transformational and lifelong. Today I am liberated, trusting that Source will direct the best and highestfor each woman when I create a safe space, well blessed and well held. 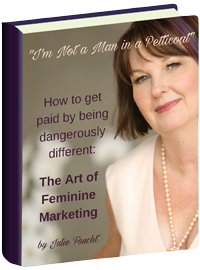 As I create the container for the Art of Feminine Marketing Annual Gathering, I am filled with curiosity. What magic will happen in that room? Who will have their life long transformation? 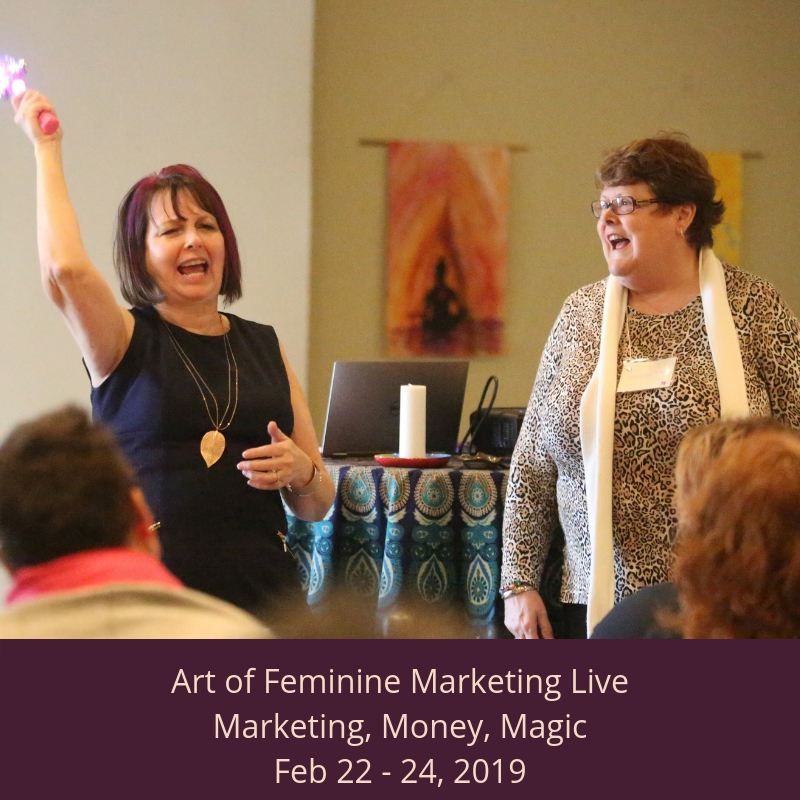 How will this event serve our bigger mission of empowering women to transform their wounds – feeling small and unimportant and all alone – into powerful marketing that attracts perfect clients and lots of money? I invite you to consider joining us and being part of the magic.Reserve your seat now. P.S. Early, Early bird pricing is currently in effect. Don’t wait!!! P.P.S. Want to talk about whether this is a fit for you? Schedule a call with me HERE.